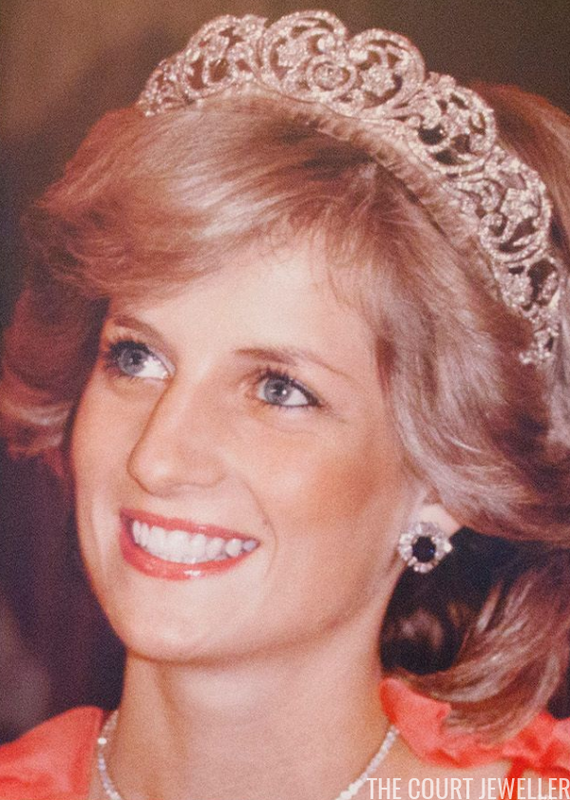 While Lady Di was given the use of the Lover's Knot Tiara during her time as Princess of Wales, she often borrowed the most elegant of her own family's sparklers from her father for gala events. Today, let's have a look at the Spencer Tiara -- in motion! Learn all about the tiara's history over here!